I, too, have always loved To Kill A Mockingbird! I first read it in high school English class, and have re-read it many times since. 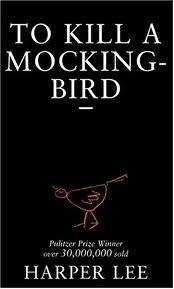 To Kill a Mockingbird is my favourite book I am so glad you enjoyed re-reading it! I have already read it a good 3 or 4 times and listened to the audiobook several times as well..and I only studied last year and the previous year!! I don’t know why, but it just seems to speak to me so much and I feel that everyone should read it at least once in their lifetime. I read To Kill A Mockingbird on 2014 and it made my “best of the year” list. I agree with you about your assessment of the fascination/dread Boo Radley exerted on the children and even adults in their neighborhood. It’s amazing how times have changed!